It began, like everything great, with biscuits. It’s put us well-and-truly through our pastries and even ventured into the first ever vegan week. There were technical triumphs (and disasters), unusual ingredients, and creations that looked too good to eat. But as always in The Great British Bake Off, it was the contestants who stole the show – with more Hollywood handshakes awarded than ever before. As the nation’s favourite TV sweet treat heads towards its show-stopping finale, relive a few of your favourite moments from the Bake Off tent one last time. In a nod to Terry’s showstopper masterpiece – a strawberry and champagne Eiffel Tower cake – host Noel Fielding made a dramatic (and slightly frightening!) appearance as Marie Antoinette. “I made a big sacrifice, so you better win,” he said to Terry. Unfortunately, the retired air steward had to pull out of the show due to ill-health – but we’ll never forget his epic moustache! Everyone has that friend who doesn’t seem phased by anything, even if everyone else is freaking out around them. Karen is that friend. 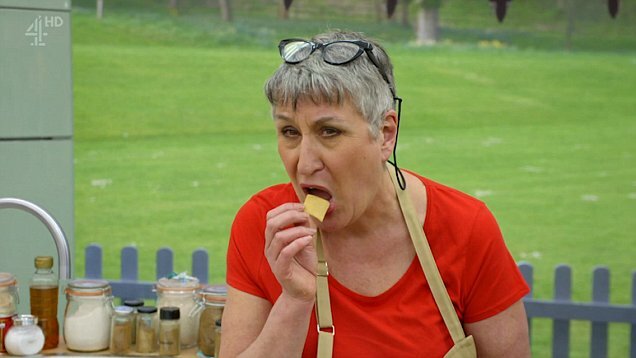 While all the other contestants sweated it out during the Signature Bake challenge, the 60 year old just sat back and enjoyed a packet of Walker Squares. Cool as a cucumber? More like cool like a Karen! Something we wish we’d all got a chance to sample was Ruby’s vegan chocolate, lemon and coconut showstopper – unfortunately, it hit the tabletop with a splat waaay before we could get our hands on it. She was devastated and the British public were shocked to the (cakey) core. At least Paul and Prue sampled it and branded it ‘delicious’. Let’s hope for no spills in the final! Kim-Joy has become a firm favourite and contender for winner of GBBO 2018, but her ‘clean, green’ pandan-flavoured chiffon cake elicited some *a-hem* unusual reactions. Noel likened it to frogspawn while Paul said that it smelled like grass. “It’s like I’ve just cut me lawn!” he laughed. Luckily Prue loved it. 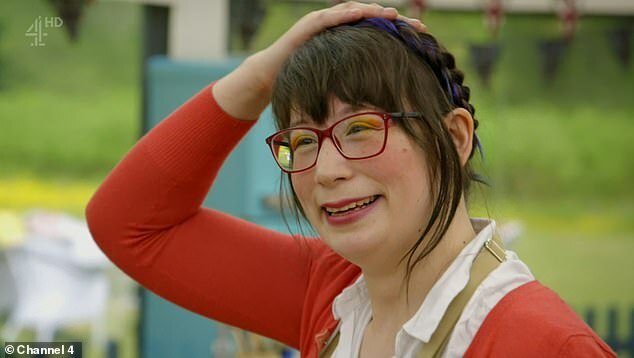 Who’ll be laughing if Kim-Joy wins the Bake Off crown? Watch out Paul! 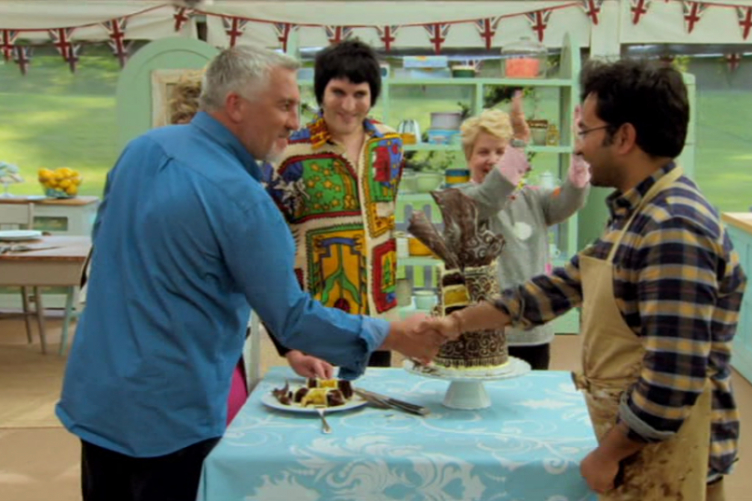 As well as coming up with some incredibly creative bakes, Rahul also likes to talk. A lot. And apologise. A lot. Which is why everyone has come to love him so much. But the bit that really melted our hearts? When we discovered he Skypes his parents every day – whilst wearing a pretty stylish rollneck. He’s in the final, but will he be able to overcome his nerves and come out victorious? Paul’s known for being a lot more liberal with the snarky comments than he is with his ‘Hollywood handshakes’, but this series he’s gone wild and broken his own record. Everyone’s been getting a handshake, leading some critics to wonder if its value is depreciating. We’re into double figures already – and maybe there’ll be a few more in the final? We’ll have to wait and see! The Great British Bake Off 2018 final will air on Tuesday 30th October on Channel 4. If you’re thinking of baking up your own showstopper, look no further than a recipe from NCS grad Naomi, founder of bespoke cake company Mulla Cakes. Happy baking!